January is all about feeling free and ready to take on the new year ahead so I’m feeling inspired and getting EVERYTHING in my life organised. This print by Kitty McCall probably needs to be on my wall to keep the feeling going and I’m pretty sure that Felicity Marshall’s empowering female pouch would look lovely as my daily make-up bag. My housemate Matthew Phillips designed the first ever PpR journal and I’m ever so proud to see it reviewed on MagCulture so do pick up a copy. I am sorry though Matt as I’m pretty into collaging this month and it’s full of wonderful photography to cut up and stick on my walls (with those lovely HAY scissors of course). On a very sad note, we lost David Bowie this month and what better way to celebrate his life than with this Ziggy phone case courtesy of Helen Green, who also happened to create that GIF that had the world looking at the icon and his many looks and sharing their sorrow over his loss. 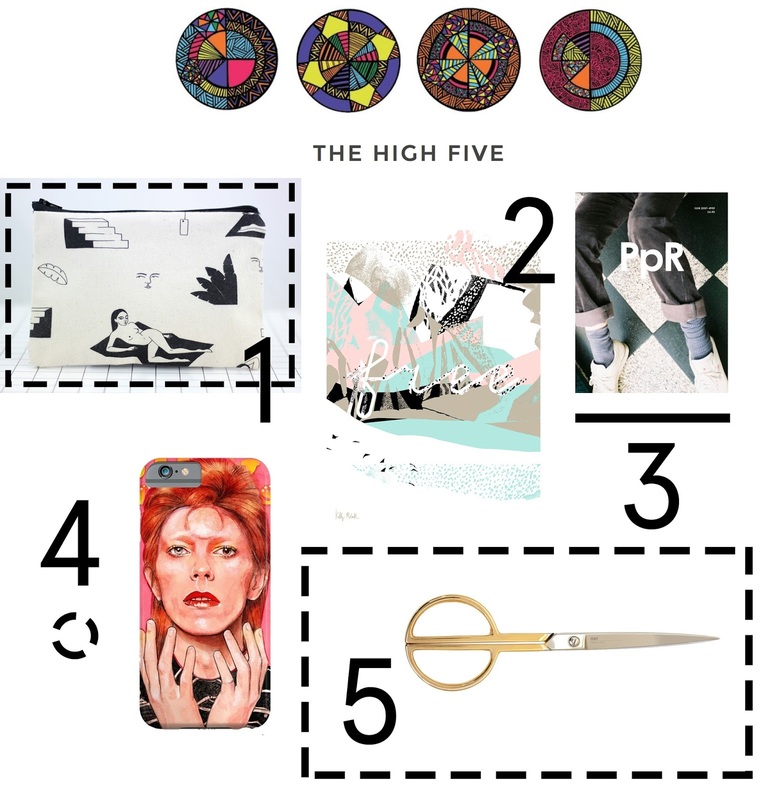 A massive high five to all the featured products – I want you all!